Creating a set of classroom rules is one task that many teachers complete at the start of the school year. For many inexperienced teachers, however, the other demands at the beginning of the year—setting up a classroom and designing instruction, for example—can make it easy to procrastinate. 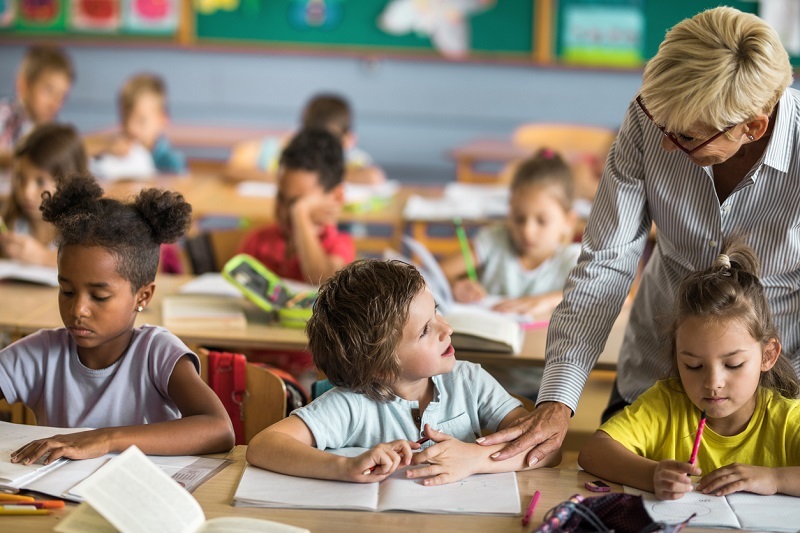 If you have been neglectful about establishing the rules you want your students to follow, or if you want to adjust the ones you already have in place, now is a good time to think about how classroom rules can benefit you and your students alike. Carefully planned classroom rules can be especially effective in helping students who struggle with behavior issues. Students do not always know what their teachers expect from them, and they are not talented mind readers. To complicate matters further, other teachers may have different behavior expectations for the very same students. Rules also give students and teachers a common language for the set of expectations that each has for the class. Even the most experienced educators can be surprised at the gap between the behaviors they believe their students should exhibit and the behaviors those students engage in when they are left to figure things out for themselves. Classroom rules also are effective because they make it easier for students to develop self-discipline. If you want to increase the number of positive behaviors in your class and decrease the number of negative ones, then make students aware of the necessity of choosing to follow the established standards. When rules are explicit as well as fairly and consistently enforced, students will stop constantly testing your decisions (eventually—be patient). As a final argument for taking the time to create a set of rules, consider the viewpoint of students who find it difficult to behave appropriately. Even though they appear to be in a state of constant rebellion against all types of authority, these students do not want—nor do they need—total freedom. Instead, they want guidance from caring adults who show them respect and consideration. Another important consideration when creating class rules is to state them in a positive way. Instead of saying “Don’t write on the desks,” phrase the same thought as “Show respect for the property of others.” With this slight change in wording, the emphasis is now on what your students should be doing. Whenever you can offer directions that describe the behavior you would like to see instead of focusing on what students should not be doing, the positive message conveys a tone of mutual respect that is lacking in the “do not” statements. Implementing classroom rules is easy to overlook as you focus your energy on teaching the material in your curriculum. However, rules can be successfully integrated into the time you have with your students at any point in the year. It is helpful to think of teaching classroom rules as an ongoing process that continues until the end of the year. Experienced teachers find themselves cycling back to the rules frequently throughout the year as students change, settle into the classroom environment and adjust to expectations. Design a plan for teaching the classroom rules just as you would design a lesson plan to teach any other information. Explain the behavior, model it, have students practice it, and then reinforce it. Try to do this in small bits of time at the start or end of class when students tend to focus more efficiently. Be friendly, serious and firm when you introduce the topic of classroom rules to your students. Now is not the time to confuse them by treating the subject lightly. Calmly enforcing a classroom rule that is part of a well-thought-out discipline plan will result in changed behavior much more quickly than a lecture, scolding, sarcasm or some other frustrated reaction. Don’t lecture, argue, fuss or give undue attention to rule-breakers. Just enforce the rule. This is crucial when dealing with students who need to become an integral member of the class. Step 2: Clarify the rule so the student can see that it applies to this situation. Step 3: Have the student tell you the reason for the rule. Step 4: Have the student tell you the consequence. Step 5: Put the consequence into action. One effective technique to enforce rules consistently is very easy: Chart the rules that are frequently broken. Simply make a checklist with a grid to record each infraction as it happens. You can do this by writing the rule on the board and putting a checkmark next to it whenever it’s broken. The act of recording the infractions will serve to make students aware of the rules they often break. Thank you very much. Great information and full of ideas. very nice educational resources. God bless you more knowlege and wisdom to share for all educators like me. Thank you very much for your kind words! I appreciate you taking the time to respond. Have a wonderful rest of the school year!